Ah, the curse of the second album. TPOBPAT’s debut album and early singles and EPs were pretty damn awesome. Then last year’s Belong album wasn’t up to the standards of the debut and it got quite a kicking (OK it wasn’t as good, but it wasn’t the turkey that a lot of the reviews suggested). 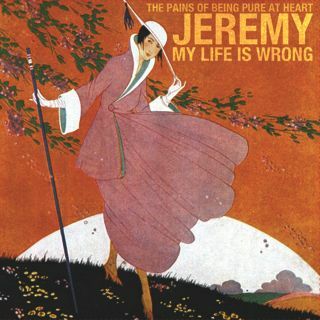 Anyway, to coincide with a European tour over the next month or so, the band are releasing a new single, which couples two of their favourite songs ‘Jeremy’ by The Magnetic Fields and ‘My Life Is Wrong’ by East River Pipe on the b-side. ‘Jeremy’ has been made available to stream, it’s out as a download next week on PIAS and then as a 7″ on October 29. They play Glasgow Oran Mor on October 14, Manchester Ruby Lounge on October 15 and London Dingwalls on October 16. This entry was posted in The Pains Of Being Pure At Heart by Ed. Bookmark the permalink.